MARC’s Transition Group is for substance abuse patients who have completed or are nearing completion of the Intensive Outpatient Program (“IOP”) program and who are no longer in the very beginning stages of their personal recovery process. Topics include issues related more toward maintaining abstinence & continuing recovery efforts while balancing life responsibilities such as work, school, relationships, & family. 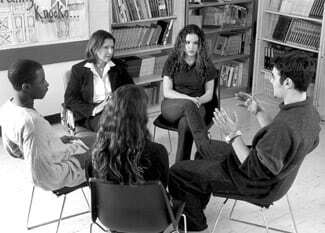 The group is facilitated by a Master’s level therapist. The Substance Abuse Aftercare Transition Group is a way of continuing to engage patients in on-going treatment while transitioning them into real life but still giving them an environment to work on personal issues, family issues and life goals. This aftercare group acts as a positive support for patients as they move through treatment, work on their personal recovery outside of treatment and learn to live a sustainable drug and alcohol free life.